Critically acclaimed indie-pop duo Broods, comprised of siblings Georgia and Caleb Nott, release their highly anticipated third album titled, Don’t Feed The Pop Monster. Don’t Feed The Pop Monster is the band’s follow up to their sophomore record, Conscious. Broods had their breakthrough with the 2014 single “Bridges” from their full-length debut Evergreen. Broods have played leading festivals like Coachella, Lollapalooza and Outside Lands and shared stages with artists like Ellie Goulding, Haim, Sam Smith, and CHVRCHES over the past few years. 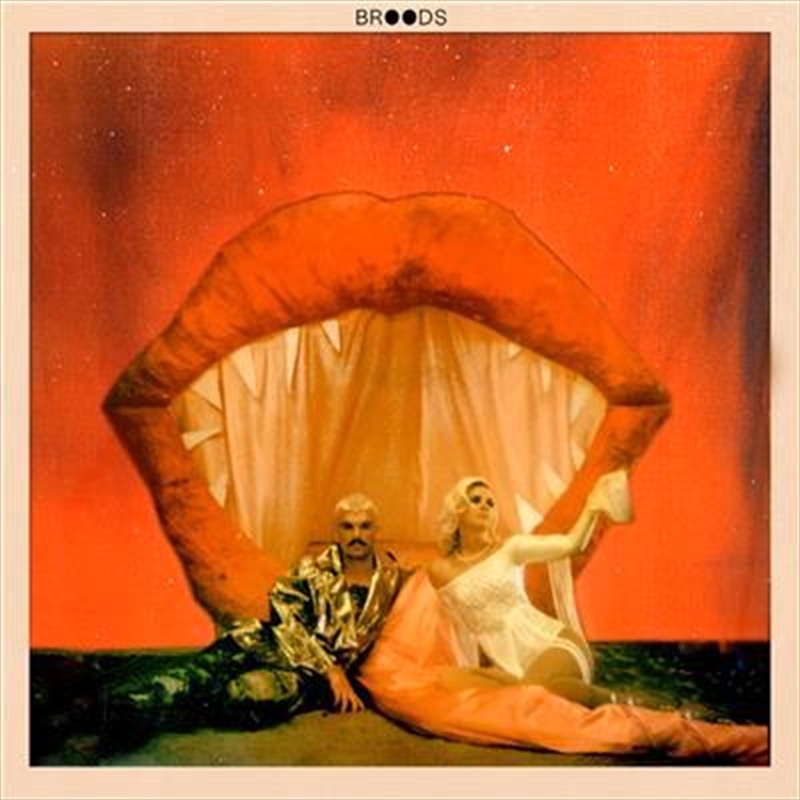 Forever evolving and growing their sound, Broods have proved once again that they will never be a predictable indie-pop act. ‘Don’t Feed The Pop Monster’ is a bit of a misleading title because that is exactly what they’ve done. They’ve created a pop record that does represent them as artists but it also drastically steps away from their tight alternative roots. After spending some time on the road with Taylor Swift as well as releasing the bright single ‘Peach’, it’s very cohesive to their neon fantasy they are creating. Opening with the pulsating synths of ‘Sucker’ they instantly transport you into a 80’s wormhole with a little indie-pop twist. It’s a great continuation of the pop sound ‘Conscious’ introduced but hears them sonically creating something a little bigger. “I’m such a sucker for everything” lead vocalist Georgia Nott admits during the nostalgic hook before rolling into the experimental beat heavy ‘Why Do You Believe In Me’ which again tackles a whole different sound. And they really take comfort in pop experimentation on this record as they float in between the doo-woop stylings of ‘Falling Apart’ which has a Lana Del Rey vibe, to the guitar heavy ‘Dust’ and the rough The Ting Tings energy of ‘Old Dog’ which is chaotic and fun. In between all of this the singles ‘Peach’, ‘Everything Goes Wow’ and ‘Hospitalized’ offer pure funky and groovy vibes with big hooks that will have you screaming along enthusiastically. But it’s ‘Everytime You go’ which becomes the clear standout with it’s funky production and rhythmic beat this will explode in their live show. ‘Too Proud’ hears Caleb Nott stepping into the spotlight to join his sister in a rare duet which has a cool different energy and feel to it. But they deliver a classic Broods moment later on the indie-pop ballad ‘To Belong’ which will have you feeling all the emotions. “I know you want nothing more, than just to belong”. They strangely close the album with the subtle ‘Life After Me’ which seems like an odd choice in between these energetic and bright moments. But this whole record plays on the unexpected and just hears them experimenting and having fun which is something their live shows highlights.